Paediatric elbow x-ray interpretation – a must-know guide for reviewing all childrens’ elbow x-rays. The Emergency Department is now auditing TIME CT FOR ALL STROKES, even if not for thrombolysis. 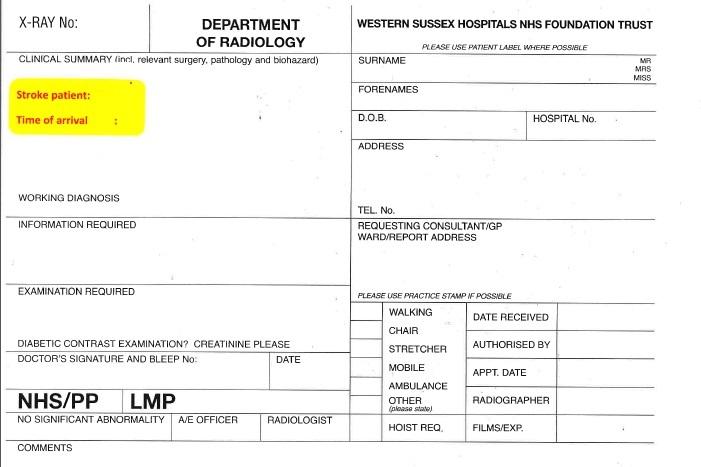 Please use the form with a yellow sticky, which is kept in Resus.